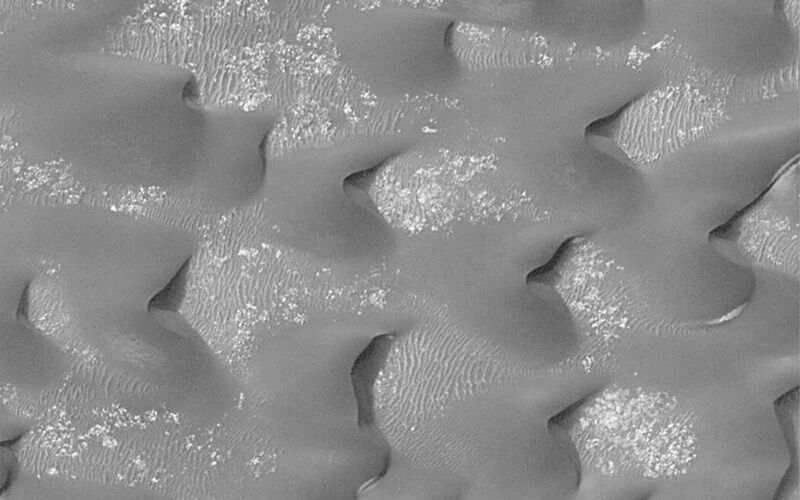 This Mars Global Surveyor (MGS) Mars Orbiter Camera (MOC) high resolution image shows a field of dark sand dunes on the floor of Kaiser Crater in southeastern Noachis Terra. 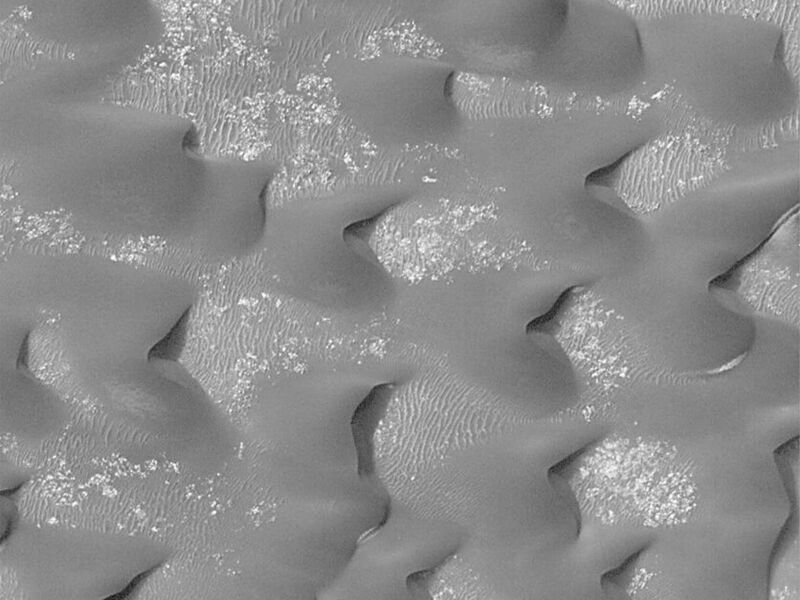 The steepest slopes on each dune, the slip faces, point toward the east, indicating that the strongest winds that blow across the floor of Kaiser move sand in this direction. 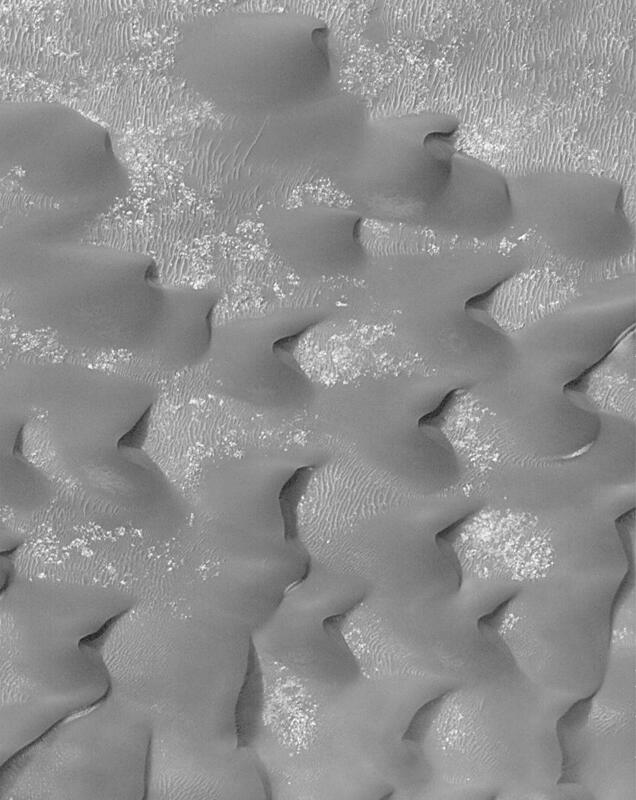 Wind features of three different scales are visible in this image: the largest (the dunes) are moving across a hard surface (light tone) that is itself partially covered by large ripples. These large ripples appear not to be moving--the dunes are burying some and revealing others. 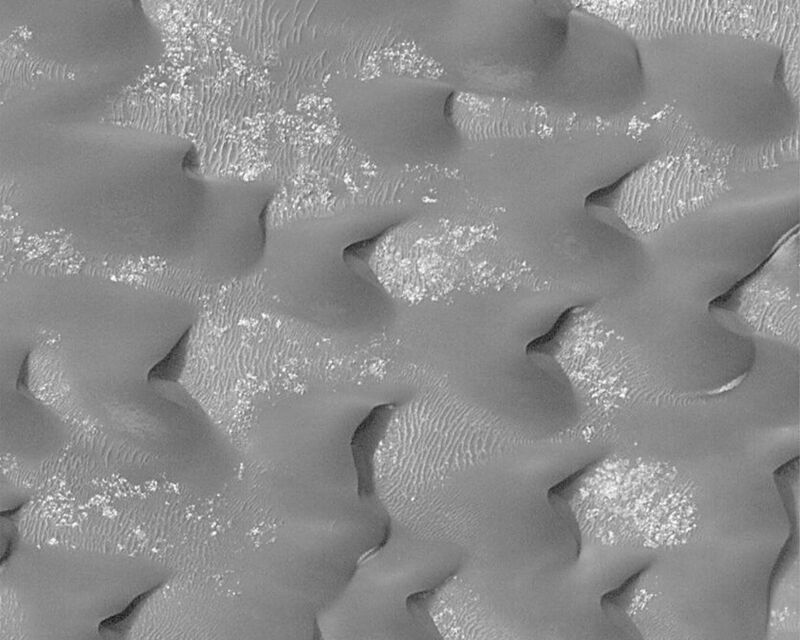 Another type of ripple pattern is seen on the margins of the dunes and where dunes coalesce. They are smaller (both in their height and in their separation) than the large ripples. These are probably coarse sediments that are moving with the dunes. This picture covers an area approximately 3 km (1.9 mi) across and is illuminated from the upper left.